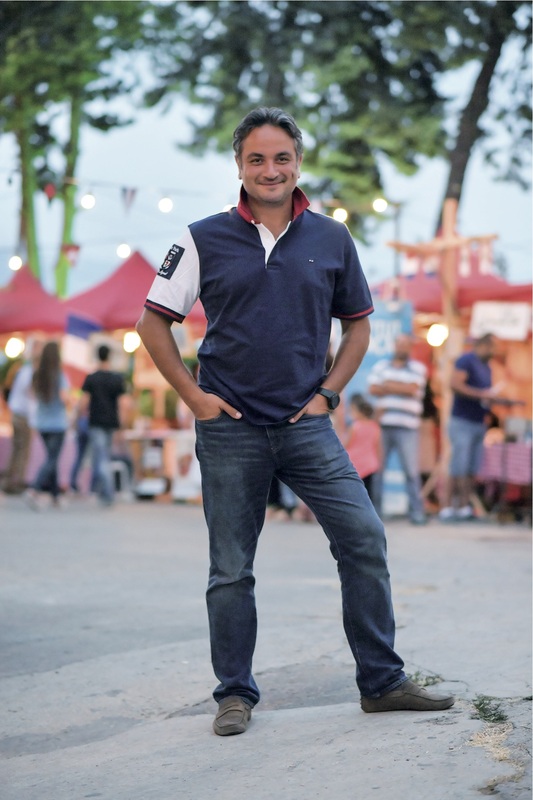 A true believer in Lebanon, Anthony Rahayel promotes the country’s rich food culture through his NoGarlicNoOnions food blog and YouTube channel and is also co-creator of Lebanon’s street-food market Souk El Akel. But the passionate foodie is also a dentist, has studied hypnotherapy, worked as a professional photographer (co-founding Beirutnightlife.com and publishing a book), and is a family man with three kids. How has NoGarlicNoOnions evolved since launching in 2012? It started as a restaurant review blog because I traveled a lot and wanted to write the truth about food – and I still do that – but there are other entities now, like food discovery videos where we find hidden gems; The Box, a monthly selection of traditional foods from different villages; and Souk el Akel. What’s the aim of the YouTube videos? For two years we’ve been filming in over 100 Lebanese villages. You see artisans who can’t open big restaurants but are cooking amazing things and no one knows about them. This is the Lebanon that’s not on the news and I’m so happy and proud to show it to the world, to create local heroes and change perceptions. I’m investing in changing people’s lives by adding positivity. There’s no president in Lebanon. Who cares? Happiness is a choice and the more positive you are the more you’ll attract positivity. People don’t understand the advantages of living in Lebanon until they leave. I’m so happy here. I just love Lebanon. Why did you start Souk El Akel? It’s the simple idea of gathering people around food. In winter, it’s in the heart of downtown Beirut and in summer, in different villages, to help revive them and let people discover their country. Souk El Akel introduces new foods to Lebanon, pushes ideas further and lets small businesses realize their dreams. What’s your response to those who say Souk El Akel is expensive? We actually operate at a loss. If we found a sponsor the food cost would decrease by around 30 percent. Our guidelines are strict; it’s high quality food and our expenses are tremendously high – between a generator that provides 24/7 electricity, cleaning, transporting stands and goods, etc. I’ve been to many food markets worldwide and I honestly think we have one of the best. What’s your favorite food? I could live on labneh sandwiches all year long – made with toasted, thick wood-oven bread from Jezzine, goat labneh and olive oil. Do your kids love food too? They love Souk El Akel and my wife cooks very well. We don’t eat junk food, but it’s not that we ban it, we just explain why it’s unhealthy and they know they shouldn’t eat it. Shirt, Eden Park. I’m famous for my polos – always with an upturned collar. I used to wear shirts but when we started filming in villages it got awkward. My three favorite brands are Hackett, Ralph Lauren and Eden Park. Jeans, Gap. I wear jeans every day and after searching through many brands now all I wear is Gap. They fit great, and when I need to change them they’re affordable. Shoes, Tod’s. I’m a Toms and Tod’s guy. I also love Bikkembergs.